A silver medieval short-cross cut halfpenny of Henry II dating to the period AD 1180-1189. Class 1b. Rodbert moneyer. Winchester mint. North: 963. Silver cut halfpenny of Henry II, moneyer Rodbert of uncertain mint, class 1b, North 963, 1180-9. 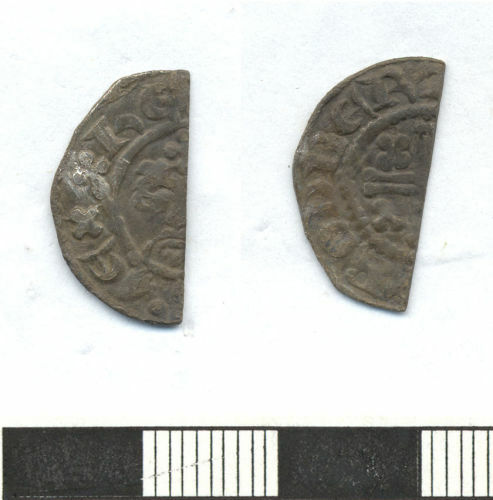 A worn cut halfpenny of Henry II, dating to the period AD 1180-1185. Class 1b, mint of Winchester. Moneyer is Rodbert. North N963.